The side trailed 31-0 at the break, conceding four converted tries and a penalty. England scored three second half tries through George Martin, Josh Gillespie and Raphael Quirke to reduce the deficit. 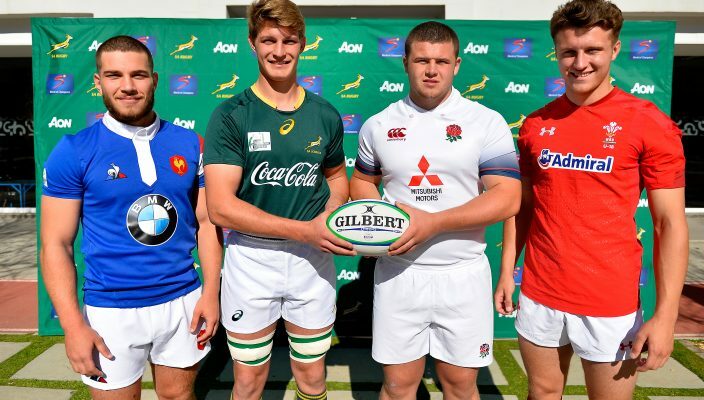 To reflect a change in the England pathway calendar the group in South Africa are predominately U17s with the tour now marking the start of U18 international season, as well as their England journey. Cheikh Tiberghien had the first points of the game with an early penalty before Yann Peysson scored the opening try for France which Tiberghien converted for 10-0. Tao Falatea Moefana went over for a second converted score while Tiberghien crossed in the corner for a third, converting his own try. Baptiste Germain had a fourth before the break with Tiberghien sending over the extras. After half time Martin powered through for a first England try which Curtis converted but Rely Brosset crossed for France soon after. Gillespie seared through scoring England’s second score which Curtis converted to take the score to 36-14. And a late sniping try from scrum half Quirke, which Barton converted reduced the score but Brosset crossed for a sixth French try. 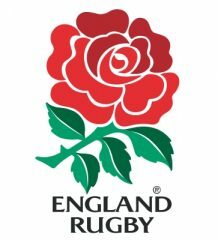 England next take on Wales in Stellenberg on Tuesday (1.15pm BST). Jim Mallinder said: “We were physically up against it, they were the much bigger team. “We struggled with the tempo to begin with, but what was pleasing was that we stuck with it. We talked at half time about trying to move it wide and it was fantastic to see the team improve in the second half. The replacements came on and made a massive impact and it was great to win the second half. “This is the start of their journey on the pathway, it’s a young team, they have lots of things to learn which is expected but there is potential in this group. I am very excited to see these guys get back to training and put it into a game environment. I know we have a basis of a very good side. 15. Louis Lynagh – Harlequins (Hampton School), 14. Josh Gillespie – Northampton Saints (Millfield School), 13. Lennox Anyanwu – Harlequins (Christ’s Hospital), 12. Josh Hallett – Saracens (New Hall School), 11. Tom Roebuck – Sale Sharks (Wirral Grammar), 10. Tom Curtis – Sale Sharks (Sedbergh School), 9. Callum Pascoe – Newcastle Falcons (Gosforth Academy), 1. James Whitcombe – Leicester Tigers (Woodhouse Grove), 2. Alfie Barbeary – Wasps (Bloxham School), 3. Harvey Beaton – Saracens (Sutton Valence), 4. George Hammond – Harlequins (Whitgift School), 5. George Martin – Leicester Tigers (Brooksby Melton College), 6. Harry Dugmore – Harlequins (Whitgift School), 7. Jack Clement – Gloucester Rugby (Cheltenham College), 8. Nahum Merigan – Bath Rugby (Beechen Cliff School). 16. Sam Riley – Harlequins (St George’s Weybridge), 17. Rowan Mullis – Gloucester Rugby (Hartpury College), 18. Jack Hughes – Northampton Saints (Uppingham School), 19. Chunya Munga – London Irish (Leighton Park School), 20. Fin Rossiter – London Irish (Wellington College), 21. Raphael Quirke – Sale Sharks (St Ambrose College), 22. George Barton – Gloucester Rugby (Dean Close School), 23. Phil Cokanasiga – London Irish (St Pauls College), 24. Jack Bates – Bristol Bears (SGS Filton), 25. Will Haydon-Wood – Newcastle Falcons (Sedbergh School).